Water softeners can be life savers. We’ve already talked about the many benefits of water softeners. If you’re not sure what the difference between hard and soft water is, you can check out this blog. If you’re not sure why a water softener could help you, we talked about the many benefits here. In case it wasn’t clear, we really love water purifiers. We love the way they make our water taste, our showers softer and less harsh on our skin, and our dishes clean and sparkly. That being said, if you’ve had one for a while, it might be time to replace it. Water softeners are not built to last forever, and can break down especially quickly if you use a lot of water in your house. Each of these are indicators that you’ve got a problem with your machine. Instead of panicking, you can simply call a plumber to come and either fix it, or replace it. The best indicator that you need a replacement instead of a fix is that your machine requires multiple fixes within a few months or weeks, or that your machine, even after being fixed, is still not working. 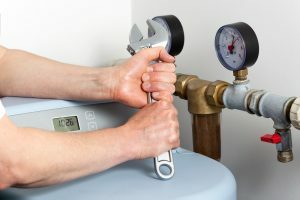 A quality water softener will last you between ten and fifteen years, so if you approaching that deadline, perhaps get it checked out for functionality, and think about replacing it regardless of its condition. This will ensure clean and soft water for many more years! Is Your Machine Broken or Just in Need of a Quick Fix? The above indicators of wear on your water softener have varying degrees of severity. To help you decide your next course of action, let’s go through a few of them. You might not be able to immediately tell if your motor is not working. A simple way you can check is to open your water softener and check the motor. Depending on which brand you have, this is a fairly simple task. To get an idea of how to do this, check out this video! When we talk about the brine, we’re talking about the salt supply to your water softener. If it’s not flowing correctly, you might need to unclog it. The way to tell if the brine is not flowing is by testing the softness of your water with a simple DIY trick. If there are a lot of bubbles in your bottle, with the bottom of it being clear water, then your water is still pretty soft, meaning that your machine is likely still working. If the soap doesn’t lather as much as it should be, it might be time to have a look at ol’ softener. If your machine’s brine is not flowing properly, this job will require calling a plumber. In order to not affect any of the inner workings of your machine, we recommend calling a professional to come and unclog any debris from your brine flow. The other signs listed are all easily identifiable just by your everyday living! We hope that you don’t have to regularly service your water softener, but if you do, it might be time to replace it. 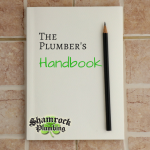 Shamrock Plumbing is equipped to install, repair, or replace any water softener. We have the expertise and experience to do an excellent job, and we will do our best to ensure future problems don’t occur. If you have any questions about an existing water softener that you have, or are in need of a repair, please do not hesitate to call us at 801-505-9505.